Kim graduated with an associate's degree in applied business. Meeting new patients and developing relationships with them gives Kim a chance to make a difference. She loves the great people on our staff. Kim and her husband Kamron have 4 children. Spending time with her family gives her a great deal of pleasure, especially supporting her children in school, athletics and the arts. After high school, Abby earned an associate's degree in accounting. She first joined our team in the 1990s. After taking time off to raise her son Jacob and daughter Rachel, she rejoined the team in 2009. Abby helps our patients with their investment in obtaining and maintaining excellent oral health. Outside of the office, Abby enjoys spending time with her husband, grandchildren, family, and travelling. She also enjoys devoting time to others by volunteering at church and Findlay City Mission. Cathy joined us in 2010. Utilizing her degree in Business Administration from The University of Findlay, she manages the day-to-day operations of the practice and enjoys enhancing the technology in the office. She and her husband, Roy, live near McComb with their son, Bo. She enjoys spending time with her family and friends, going to the lake, traveling, and supporting Bo’s school and sports activities. For more than 40 years, Cindy has served our patients with experience and compassion. 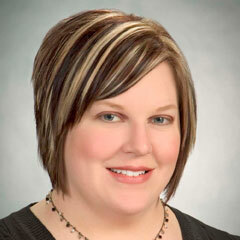 Cindy enjoys our family-oriented practice and prides herself on providing the best dental care possible. She and her husband, Matt, have been married since 1982. Cindy is active in her church. She's also an Ohio State Buckeye fan, and she likes to golf, fish, hunt, and travel. 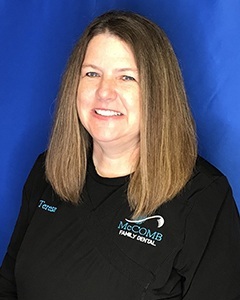 Laura is a certified dental assistant who earned her degree at The Ohio State University, and she's taken many hands-on courses with the American Academy of Cosmetic Dentistry. She is committed to giving patients thorough dental care and beautiful smiles. She and her husband, Ed, have two children, Bradley and Cassidy. Outside of the office, she stays busy gardening & canning. She enjoys spending time with her family and being outdoors. 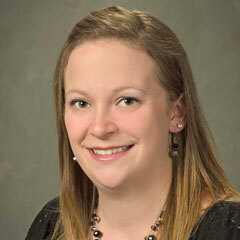 Joining our team in 2009, Lindsay brings enthusiasm and zest to her work with patients. She loves developing lasting relationships fueled by a desire to obtain optimal oral health. Outside the office, Lindsay spends time with her husband Shane and their Great Danes. She enjoys softball, volleyball, bowling, and fitness. 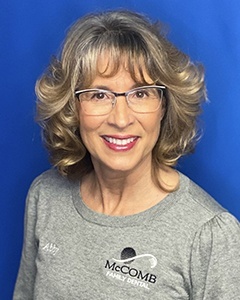 Melanie joined the McComb Family Dental practice in 2014, bringing with her a passion for helping others and five years of experience in her field. She earned her degree from Owens Community College and loves the family-like atmosphere of our welcoming office. 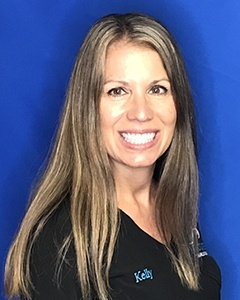 Melanie loves playing a vital role in our awesome dental care team, ensuring that each and every one of our patients receives personalized, friendly care. In her free time, Melanie and her husband Cody love being parents to their son and teaching him all about the outdoors! They enjoy four-wheeling, shooting bows & guns, and exploring & tending to their 18-acre woods. Teresa received her hygiene training from Lima Technical College where she received the Golden Scaler Award for her outstanding qualities in clinical skills and patient care. 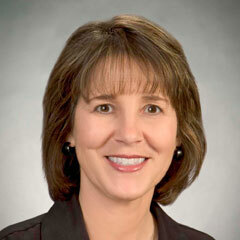 With tenure since 1990 in this office, Teresa helps create gorgeous smiles for our patients. She appreciates the team atmosphere of the staff. Her husband, Rob, and two sons, Nathan and Brandon, keep Teresa busy away from the office. Teresa also likes gardening and watching her boys play sports. 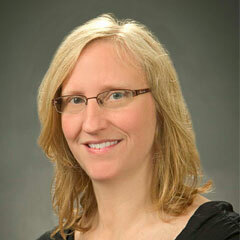 Kelly has been with the practice since 1996. She likes the wonderful group of people that work here, and Kelly says her patients make her smile every day. Kelly is married and has two grown daughters and a son-in-law. She enjoys running and has completed several 5Ks and a half marathon. Away from the office you will find Kelly at their campground at the lake or watching sports and enjoying time with her family and friends. 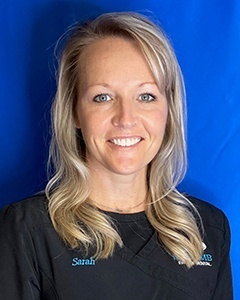 With training as a registered dental hygienist and an expanded function dental assistant, Sarah provides her patients with thorough care and a wealth of experience. 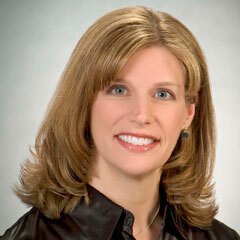 She's been a valued member of our team since 2002 and holds licensing for dental anesthesia. Sarah is married to Kevin, and they have 3 children, Mason, Brevin, and Kya. She enjoys running and attending her kids’ sporting events. 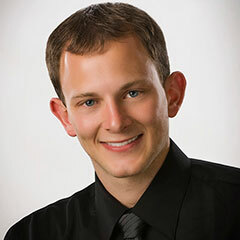 Matthew joined our office in 2010, after graduating from Owens College. Though primarily focused on maintaining and restoring smiles, he's also committed to educating our patients about the brushing habits that will help them achieve their optimal oral health. Matthew is also certified to administer dental anesthesia. It's dedication like this that lets us build lasting relationship between team members and patients. Away from the office, Matthew enjoys being on the water, vacationing, and helping on his family’s farm. A graduate of The Ohio State University, Laine has worked as a dental hygienist since 2007, and began practicing with our office in 2018. She also holds her local anesthesia license. 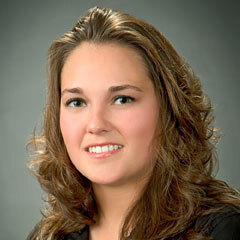 Laine enjoys instructing patients on good oral hygiene habits and provides state-of-the-art preventative care. Laine and her husband, Drew, live in Ottawa with their two daughters. She enjoys camping, spending time with family & friends, and volunteering at her daughters’ school. Jaclyn joined our team in 2017. She received her dental hygiene and Expanded Function Dental degrees, as well as her anesthesia certification, from Owens Community College. Jaclyn comes to us from Leipsic, where she grew up and now lives with her husband Silas and their 2 dogs. Grace graduated in 2015 from Owens Community College. With her dental hygiene, anesthesia, and EFDA certifications under her belt, she’s been working in the field for 3 years and joined our team in 2018. A member of the Rader family, native to Deshler and a Patrick Henry graduate, Grace recently moved to Carey. Her favorite part about being a hygienist is the opportunity she’s given daily to educate her patients. In her spare time, she enjoys cooking, baking and spending time with her large family and friends.